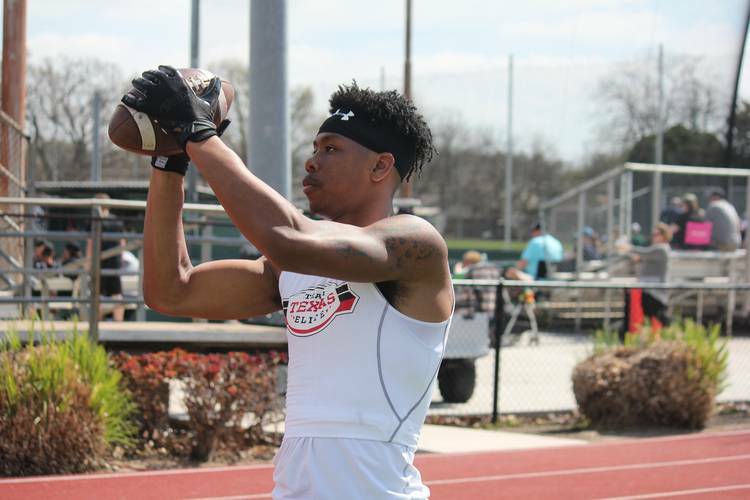 The Lone Star momentum continued for Lincoln Riley and the Oklahoma Sooners on Friday afternoon when four-star wide receiver Theo Wease Jr. and four-star safety Jamal Morris choose the Sooners. Oklahoma added four-star wide receiver Arjei Henderson earlier in the day. Wease Jr. is the No. 6 player on the Fabulous 55, while Morris ranks 34. Wease Jr. helped lead Allen to a Class 6A Division I state championship as a junior. He was a first-team all-district selection as a junior after recording 57 receptions for 879 yards and 14 touchdowns. This followed a sophomore campaign that included 35 catches for 421 yards and eight touchdowns. The big-bodied wide receiver is a vertical threat with a wide catch radius. Morris is one of the best defenders in the state. He’s a long, lean safety who has shown improvement in coverage during the camp and 7-on-7 circuit this offseason. He held 19 offers, including one from the Longhorns. He’s high school teammates with four-star cornerback Erick Young, who is a target of both Texas and Oklahoma. All three are on visits to Norman with the spring game taking place Saturday. The duo became Oklahoma’s sixth and seventh commitment, respectfully. Six of those seven play prep football in Texas and all six are ranked on the Fabulous 55. No other team holds that many commitments from Fab 55 members. Three of the top 10 players on the list are currently committed to Oklahoma.